Robotic process automation (RPA) has quickly become one of the trendiest topics in IT, and with good reason. If executed properly, RPA can quickly introduce automation into repetitive business processes and rule-based tasks. Setting it up correctly, however, isn’t so simple. 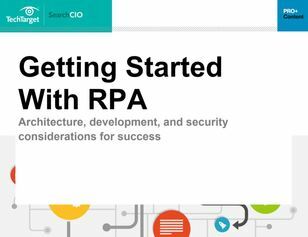 Inside this expert guide, find out exactly what RPA entails from architectural, development, and security standpoints – and how to avoid making common mistakes.